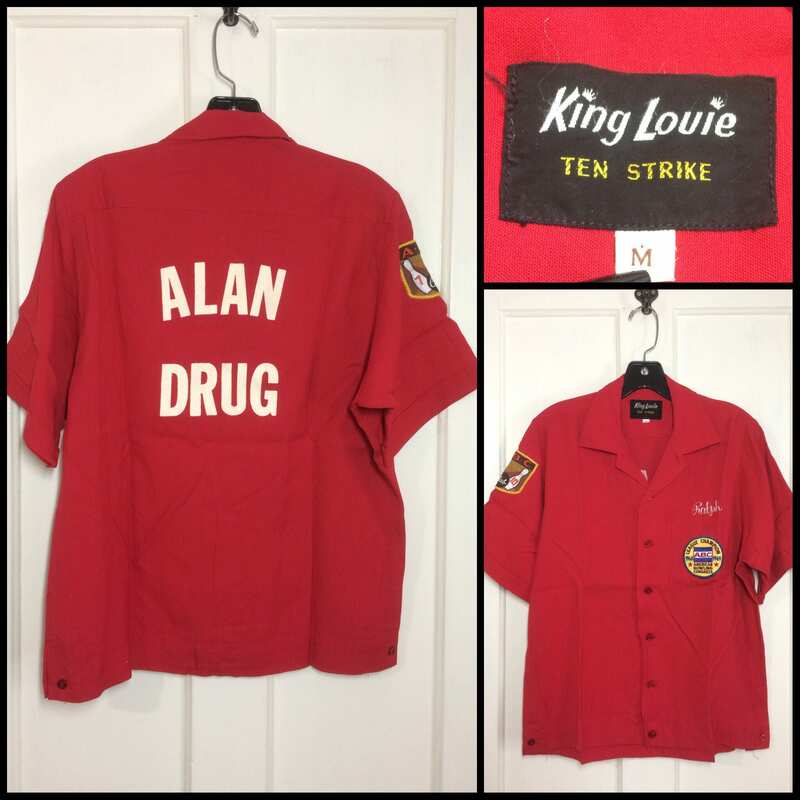 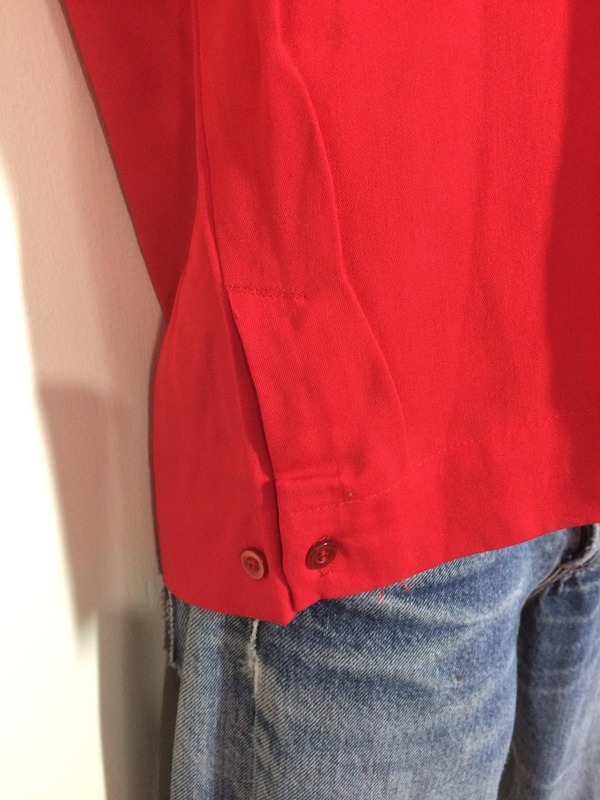 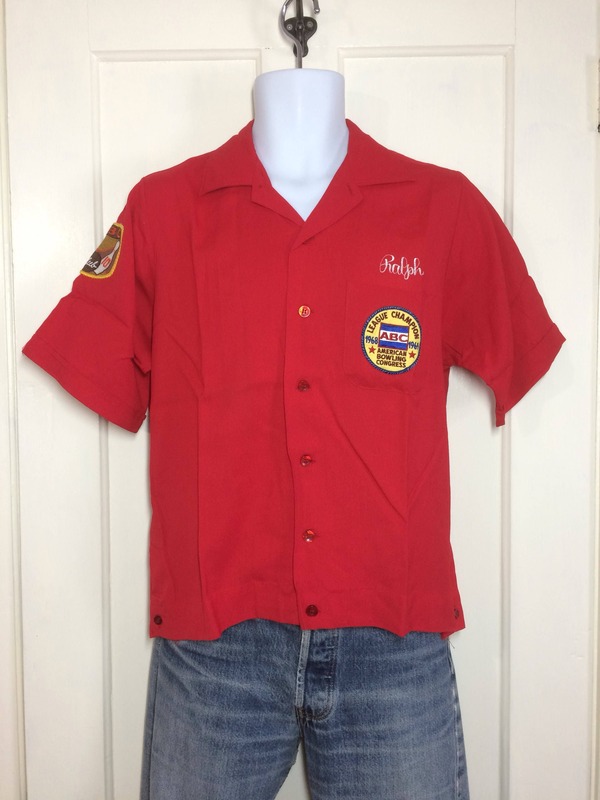 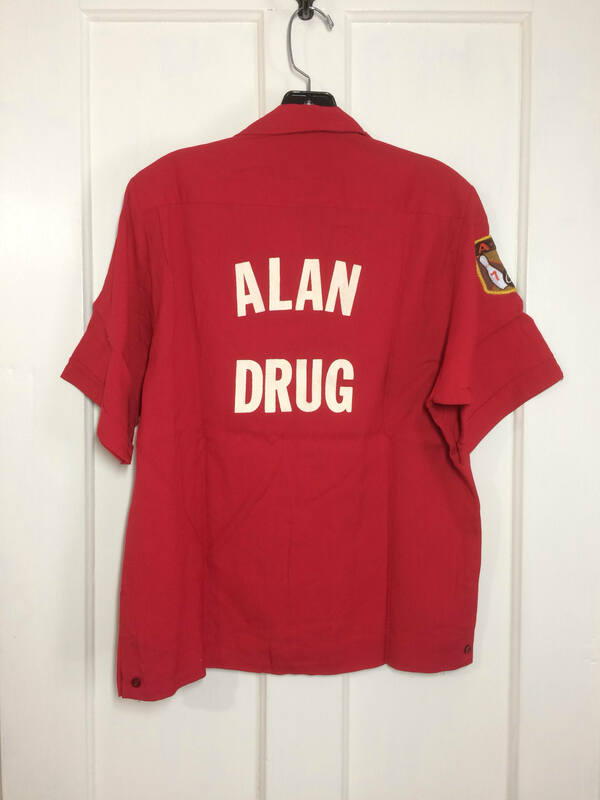 Here's a rayon bowling shirt from the 1960's. 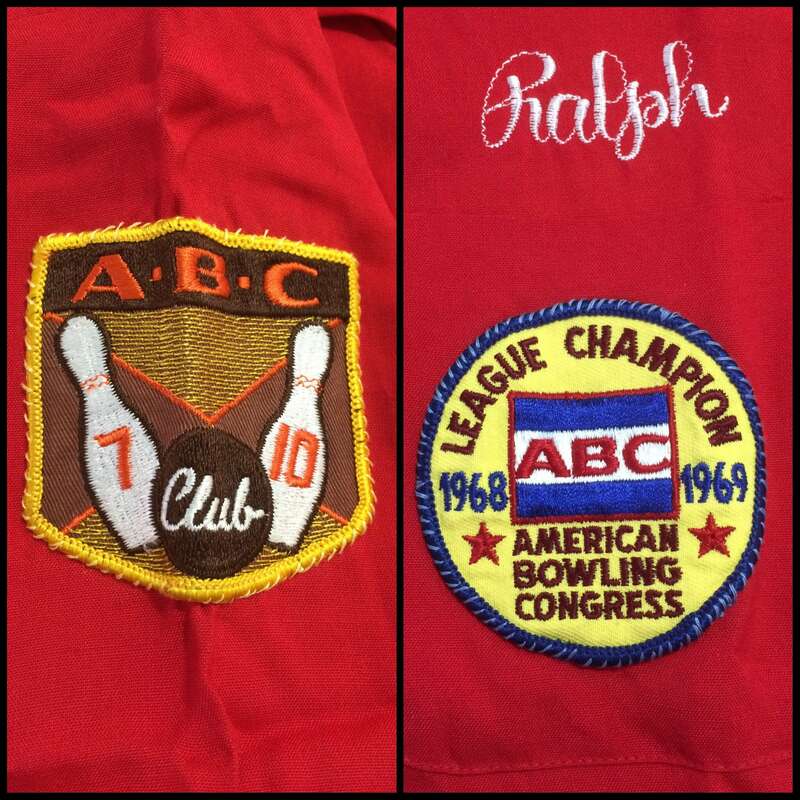 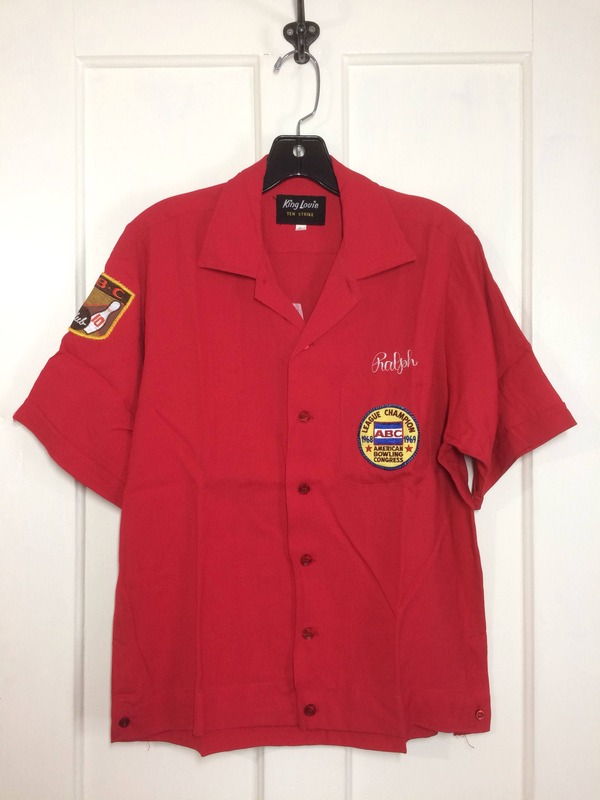 It has buttons on the sides, patches dated 1968-1969, embroidered name "Ralph" and a fuzzy print in back. 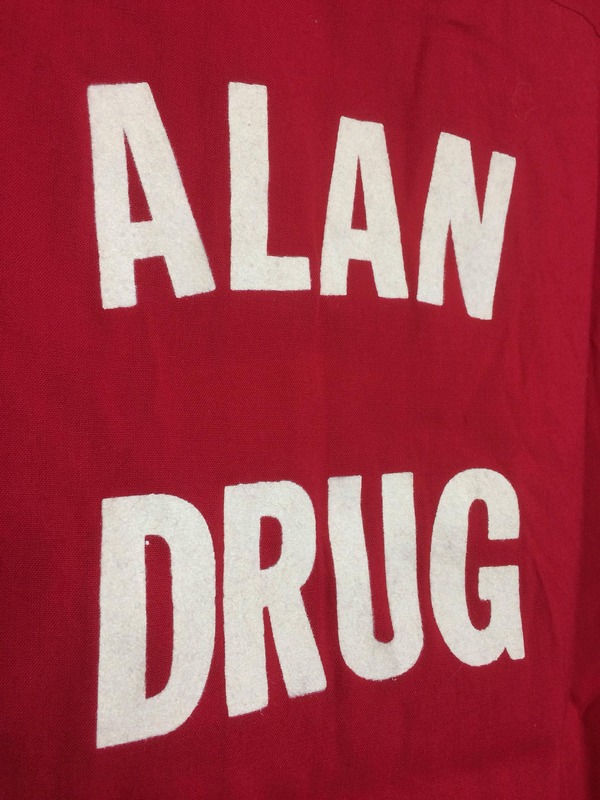 It's in excellent, gently used condition, no damage.